We encourage all students to apply for financial aid and will do whatever we can to help all students with the process of applying for financial aid. Financial aid includes various types of assistance available to help meet the costs of attending college.The WSCC Financial Aid Office believes all students, regardless of the amount of financial resources available to them, should have the opportunity to pursue an education. The WSCC Financial Aid Office will assist all students with finding resources to pursue their education. Below you'll find information regarding requirements for Financial Aid. Most males must be registered with Selective Service. Go to www.sss.gov to register. Not be in default on a student loan or owe a refund on a federal grant. Have demonstrated financial need except for some types of student loans. Be pursuing a degree or certificate program at WSCC. There is no set income level at which students qualify for federal financial aid. The FAFSA information is used in a formula to determine the amount the student may be able to contribute to their education. The result is called an EFC or Estimated Family Contribution. Most of the funds awarded by the Financial Aid Office are based on financial need from the FAFSA results. Financial need is calculated by subtracting the student’s EFC from their Cost of Attendance (COA) Budget. The COA is an estimated amount that it will cost you to go to school for a year. Your COA may include tuition, fees, books, housing, transportation, and miscellaneous costs. Regardless of financial aid need a student will qualify for a student loan unless the student is in default on a previous student loan. Many scholarships are awarded regardless of financial need. Students experiencing unusual financial circumstances such as unemployment, reduction of pay, excessive medical expenses, etc. may appeal to the WSCC Financial Aid Director for a review of their circumstances. Adjustments may be made to the student’s EFC that may result in the student receiving additional financial aid. Federal legislation requires that unearned Title IV funds including Pell Grants, Supplemental Educational Opportunity Grants (SEOG), and Direct Stafford Loans be returned to the appropriate aid program if a financial aid recipient totally withdraws from classes prior to completing 60% of the semester. Students considering withdrawal from all classes prior to completing 60% of the semester are strongly encouraged to contact the WSCC Financial Aid Office to determine how withdrawal will affect current and future financial aid. The complete Return of Title IV Funds policy is available in the WSCC Financial Aid Office or on the WSCC website www.westshore.edu. Federal and state regulations require that students receiving financial aid be making Satisfactory Academic Progress (SAP) toward the completion of their certificate program or associate degree regardless of whether the student received financial aid in the past. The SAP policy applies to all students who receive assistance from all federal and most state financial aid programs including but not limited to Pell grants, student loans, work study, TIP, Veterans Education Benefits, and some scholarships. Students must maintain a minimum semester and cumulative grade point average (GPA) of 2.0 that is calculated from all attempted classes that earn GPA points. Incompletes, withdrawals, forgiven repeats, transfer credits, and developmental classes are excluded from the GPA calculation. Each semester students must complete all attempted credits at a pace of at least 67% including courses below the 100 level. Incompletes, withdrawals, and repeated classes are used to calculate the completion rate. Students must complete their degree program within 90 attempted credit hours or the 150% limit of their program of study. Attempted credit hours include transfer credits; credit hours for courses passed or failed, repeated courses, withdrawals, and incompletes. A student may earn no more than three degrees or certificates regardless of total accumulated credit hours. Students that attend WSCC and already possess a degree and/or certificate will need to complete the 150% appeal process, and provide official transcript(s) from their former school(s). Satisfactory academic progress is reviewed at the end of each semester. Students will be placed on Financial Aid WARNING for the semester if they fail to meet the 2.0 GPA requirement and/or fail to complete 67% of credit hours attempted overall or for the semester. Students are eligible to receive financial aid for the Warning semester if they complete a SAP plan with an Academic Advisor. Students who fail to achieve satisfactory academic progress at the end of the Warning semester will be canceled from financial aid. Students will be canceled from financial aid after the semester the student graduates, reaches 90 credits, or reaches 150% of the credits needed to complete their program of study. Any student canceled from financial aid, after two semesters of failing to meet the SAP policy, has the right to appeal the suspension to the Financial Aid (FA) Director if there were circumstances that prevented the student from meeting the requirements of the SAP policy. Special circumstances can include but are not limited to medical, employment, transportation, or any other circumstances deemed extenuating by the FA Director. All financial aid appeals must be made by completing the appropriate WSCC Appeal form and the student must meet with the FA Director. Supporting documentation may be required. After reviewing the appeal, the FA Director will inform the student of the decision in writing. If a FA appeal is approved for failure to meet the pace or GPA requirement the student will be placed on probation and eligible to receive financial aid. To continue on probation a SAP plan must be created and followed that requires a 2.0 GPA for the semester and 67% of the credits attempted to be completed each semester.  The SAP plan may require additional conditions, established by the FA Director or Academic Advisor, which the student must follow. Students will typically be allowed one Financial Aid SAP appeal, but an additional appeal may be considered if circumstance are warranted. A student wishing to appeal the decision of the FA director may do so in writing to the Dean of Student Services. Students that are approved for an appeal to exceed their 150% credit limit will be able to receive financial aid for the specified classes needed to complete their degree program. Failing to meet the pace or GPA requirements for the classes approved with their 150% appeal will result in financial aid cancellation. A student's financial aid eligibility will be reinstated after cancellation if a student uses non-financial asid resources to enroll in classes and earns enough credits to meet the minimum 67% completion rate and attains the required 2.0 cumulative grade point and has not exceeded their 150% program limit. Students should notify the financial aid office once they are again meeting all SAP requirements. A student that fails to meet the terms of their appeal or fails to meet the pace and GPA requirements for 2 consecutive semesters but is meeting the overall 2.0 GPA and 67% completion pace, will have their financial aid reinstated after nonattendance for one regular semester (fall or winter). Federal financial aid awards are made after the student’s FAFSA has been processed and finalized by the WSCC Financial Aid Office. Students should allow up to four weeks for their FAFSA to be finalized. Student will be notified by mail and/or email of all financial aid awards including grants, scholarships, waivers, student loans, and work study employment. Financial aid awards are subject to change based on the student’s enrollment status before, during, and after the semester. All financial aid funds, scholarships, grants, and student loans are credited to the student's account. If the student has any remaining funds after all tuition, fees, and bookstore charges are paid, a check will be mailed to the student for the balance remaining. It is the student's responsibility to verify the accuracy of all charges, credits, and financial aid awards. Refund checks for remaining financial aid are mailed approximately four to six weeks after the semester begins. Below you'll find information regarding the different types of Financial Aid. A grant is a type of financial aid based on financial need (or other eligibility requirements) that a student may not have to pay back. Federal Pell Grant is awarded based on need an requires completion of the yearly Free Application for Federal Student Aid (FAFSA). Federal Supplemental Opportunity Grant (SEOG) is awarded to students determined to have exceptional need. An SEOG Award may range from $100 to $4000 per academic year. View the link here to learn about scholarships. West Shore Community College provides loans through the US Department of Education's Direct Loan Program. Direct Loans are low-interest loans for students and parents to help pay for the cost of a student's education after high school. Be enrolled at least half-time (6 credit hours). Be pursuing a degree or certificate at West Shore. Subsidized Direct -- Loans that are based on financial need. The government will pay the interest on the loan while a student is in school. Unsubsidized Direct -- A student may borrow an unsubsidized loan regardless of need, but will have to pay all interest charges. Federal Work-Study is a need-based federal program that provides students with employment opportunities, both on- and off-campus, to assist with educational expenses. A variety of jobs are available that may work with your class schedule. You gain valuable work experience. You can avoid student loan debt by working to pay for your education. Determined eligible by completing a FAFSA. Complete student and employment application process. Secure a position through an interview. Tuition Assistance is available from a number of different sources, not all are listed below. Funding requirements for each program will vary. Veterans Educational Benefits are available to veterans, service persons, reservists and spouse or dependents of qualified veterans. Meet with the WSCC Financial Aid Director/VA Certifying Official. Provide the office with a copy of Certificate of Eligibility. Meet requirements of the WSCC Satisfactory Academic Progress Policy (SAP). Make payment arrangements or apply for financial aid if tuition and fees are not covered by the Veterans Administration. Veterans are also eligible to complete the Free Application for Federal Student Aid (FAFSA) to review options for additional funding. Need help completing your FAFSA? We will be happy to help you! Step 1. Be accepted for admission to the College as a regular student. Social Security Cards (remember to input the name exactly as it appears on the card). Click on START A NEW FAFSA, if this is the first time completing a FAFSA. Click on LOGIN if you completed or started a FAFSA previously. Enter the information requested, then click NEXT. Click on START 2016-2017 FAFSA. Click on NEXT to continue. Answer the questions on each screen by referring to any necessary documents. If you need additional help, refer to the HELP and HINTS bar on the right hand side of the screen. WSCC’s school code is 007950. The easiest way to sign your FAFSA is to create an FSA ID. Click on create an FSA ID Now. Follow the instructions. If you are required to provide parent information on the FAFSA, one of your parents will need to create an FSA ID also. Remember your FSA ID, you will need it each year to complete your FAFSA and for other financial aid websites. If you are unable to complete the FAFSA at one sitting, click on SAVE and your FAFSA is saved for 45 days. Make sure you keep the password you created when you began the FAFSA. If you provide an email address when you complete the FAFSA, you will receive an email notifying you that your FAFSA has been processed. Step 6. What happens next? You should receive an email confirmation from FAFSA within 48 hours. The earliest you should expect to receive a response from WSCC is April 1. If it is after April 1, please allow up to three weeks to receive a response.